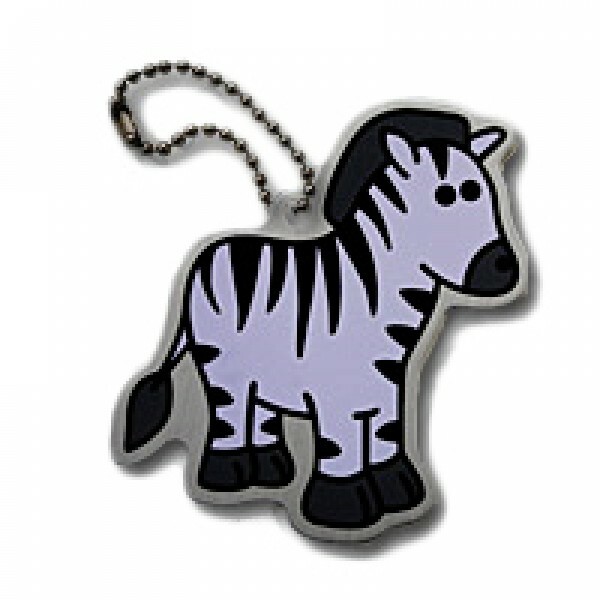 Zelda the zebra travel tag features a custom icon, this fun new trackable known as Zelda the Zebra is often called upon to referee cache rulings. However when she is not doing that she trots from cache to cache, especially those that are near stables. She loves to roam plains and grasslands too. This Travel Tag is fully trackable at Geocaching.com, each with a unique tracking number so you can follow their travels. Made of aluminum, just like travel bugs, these fun travelers also come with a chain so that it may be attached to another item. Zelda the Zebra Travel Tag measures just under 2".